Apple is trying very hard to sneak its way into your entire life. On Monday, the company released its new updates on the software that iPhones, iPads, Macs and Apple Watches run on. 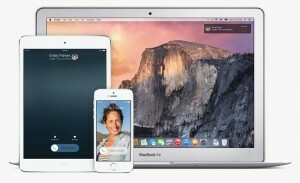 It also revealed the iOS 9 and Mac OS X 10.11 El Capitan during the conference. A major plus with Apple’s operating system is how well it has its devices work together. The Apple company’s message is pretty much becoming reality, “It’s Apple’s world, you’re just living in it.” Last year, the iPhone and Mac computer were shown working hand-in-hand, allowing you to start emails or phone calls on either your smartphone or computer and having the option of switching to the other one. As of this year, Apple has branched off into our cars and homes and even how we buy things and listen to music. The only thing holding you back from allowing Apple to run your life could possibly be finances. The only way to have all your Apple devices work properly would be to completely commit to the Apple ecosystem. Not only do you need an iPhone or MacBook, but you also need to upgrade all your household appliances to smart-home products, so they can work off the HomeKit software. This also means buying a whole new car, a CarPlay-compatible car to be exact, as well as buying the Apple Music streaming service. We’re talking about a LOT of money going into ALL new products! 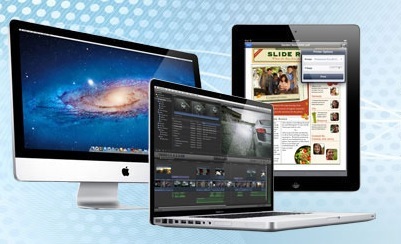 Get a Quote on a MacBook Pro Rental today! 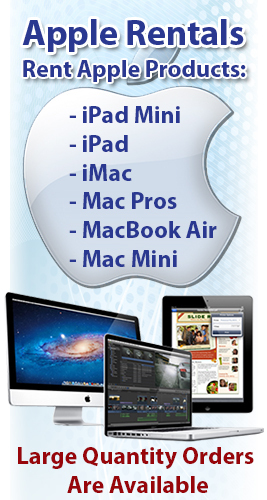 Rentacomputer offers a full line of MacBook Pro Rentals along with local delivery and installation anywhere in the United States! One of the biggest highlights of Monday’s conference was Apple announcing a whole new music service called Apple Music. This is a $10 a month subscription streaming service, kind of like Spotify. Apple is making an app for Apple Music for Android devices too, which is a huge step for the company. It’ll be the first time ever that Apple releases an app for another smartphone! Apple also announced two other softwares that would be open sourced. Its ResearchKit software is designed to help build apps and collect data for patients in an easier way for medical professionals. Swift is a coding language used to help make apps for Mac and iOS. All in all, Apple is pretty much trying to say that its products will work better if you buy all the other appliances that go with it. Although Apple is making an app for their Apple Music on Androids, it still is going to run better on iPhones and iPads, especially with all the features that will be available with it. Apple is even upgrading Siri to know you on a more personal level, such as specific times of the day you’d like to work out and even what kind of music you mostly listen to. So be prepared for the next time you plan to work out and plug your headphones in and Siri will already be playing your type of music for your workout. Just don’t expect to get the same results with Apple Music using the Google Now voice assistant. Apple isn’t only focused on music, it’s also trying to focus on making a commonly better home experience with its HomeKit software. They’re trying to get their products capability better by connecting with household products like window blinds or light bulbs. The company also said that the iOS 9 software’s CarPlay element will be able to tap into your vehicle’s data. Meaning, you won’t have to plug in your iPhone to your car with a Lightning connector, it’ll be able to just connect on its own. Last, but certainly not least, Apple is also launching another app for Android called “Move to iOS.” It is an app to help convince Android smartphone users to switch over to iPhones. Apparently Apple just won’t take NO for an answer, “Just download the Move to iOS app to wirelessly switch from your Android device to your new iOS device.” This app will come out with iOS 9 later on this year. Just prepare yourself on seeing Apple trying to be a part of everything and anything.